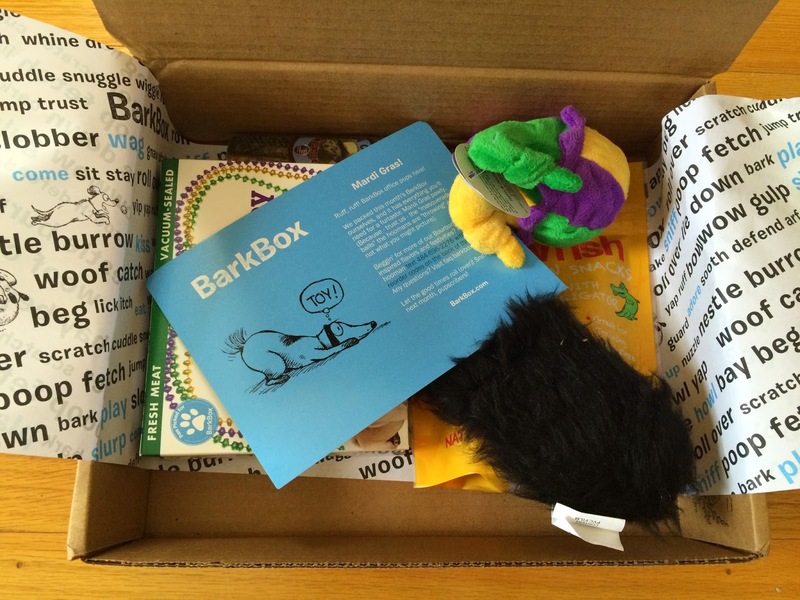 I received my BarkBox around the 15th of the month as usual, but I am late reviewing it, sorry. 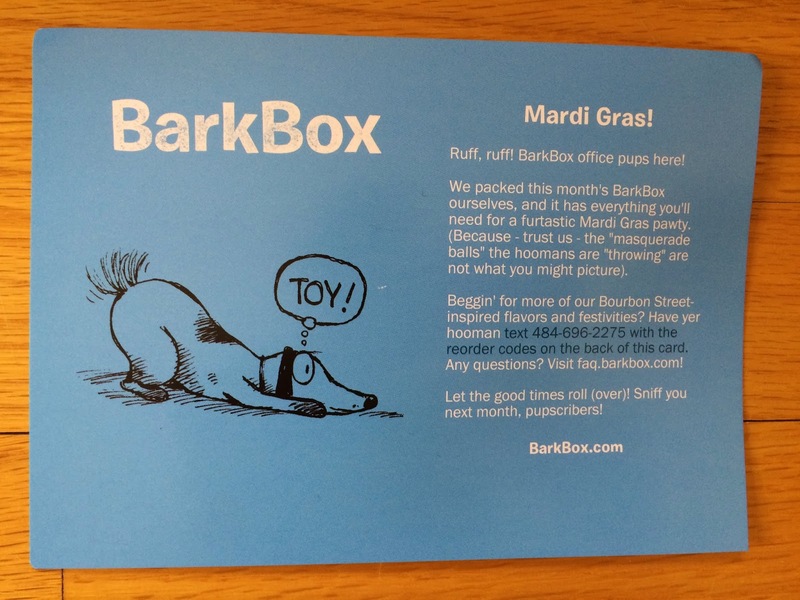 This month's box had a Mardi Gras theme, and I wasn't too sure what to expect. The box is filled with Bourbon Street inspired flavors and festivities! 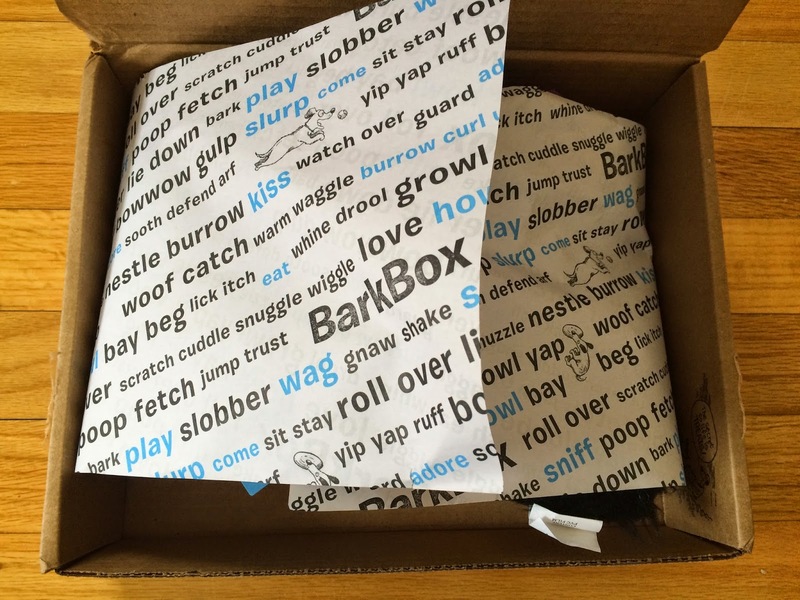 I love the packaging for BarkBox. So, here's a couple pictures. And a sneak peek of what was inside the box. 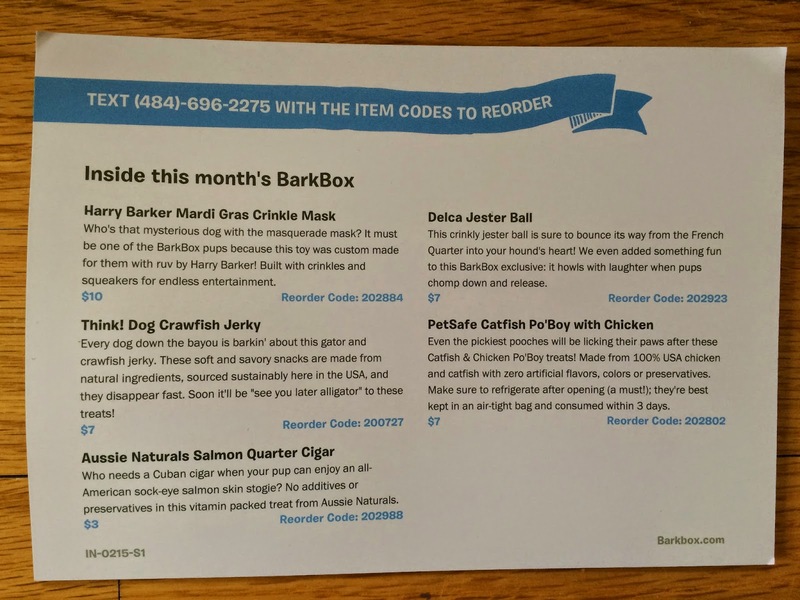 BarkBox always includes an information card explaining the theme and the contents of the box. 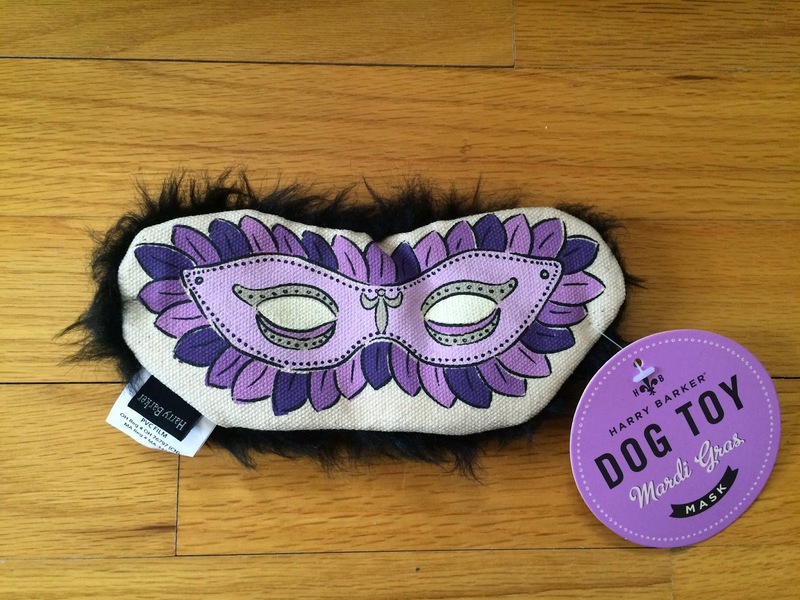 The first item included in the box was Harry Barker Mardi Gras Crinkle Mask. The retail price is $10. This is an adorable toy, that I definitely wouldn't be able to find in any store. It was custom made by Harry Barker for BarkBox. My puppy loves it! We also received Think! Dog Crawfish Jerky. These are soft and savory snacks made from natural ingredients in the US. My puppy has been very picky about his snacks lately. He sniffed these for a while before giving them a try. But when he tried them he wanted more, so he really liked them! 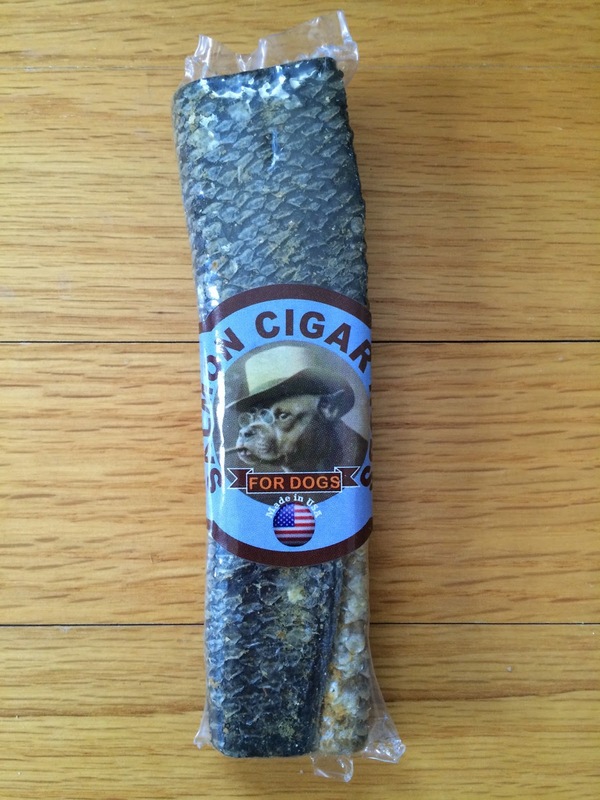 The Aussie Naturals Salmon Quarter Cigar was not something our puppy would try. He looked at it and walked away and never went back to it. He avoided it for the whole day, so we decided to pass this on to another puppy friend who loved it and ate it right up. Like I said, our puppy is picky, but I think most dogs would be a fan of this American sock-eye salmon skin chew. 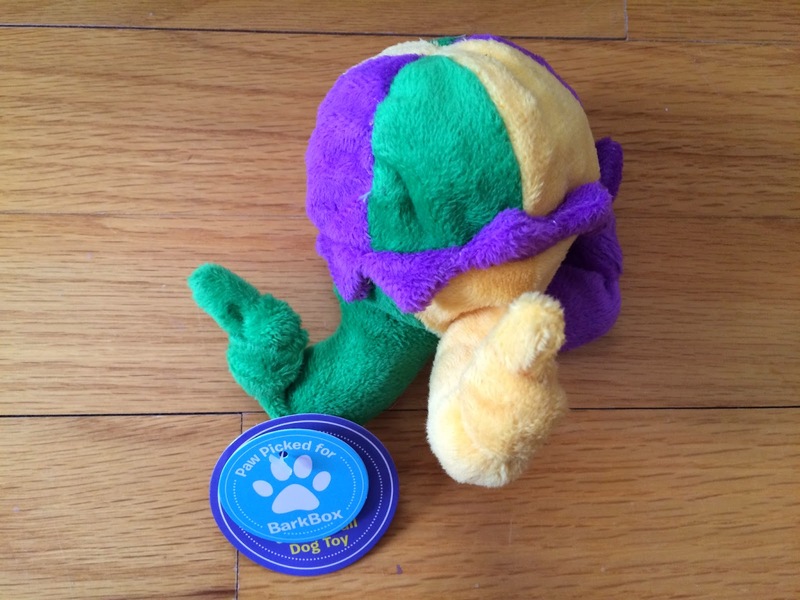 The Delca Jester Ball was our puppy's favorite item in the box. The retail price was $7. This has a bumpy textured ball inside, which was a nice change from most of his soft filled toys. He's been searching for and carrying this toy around, since it arrived in his box. 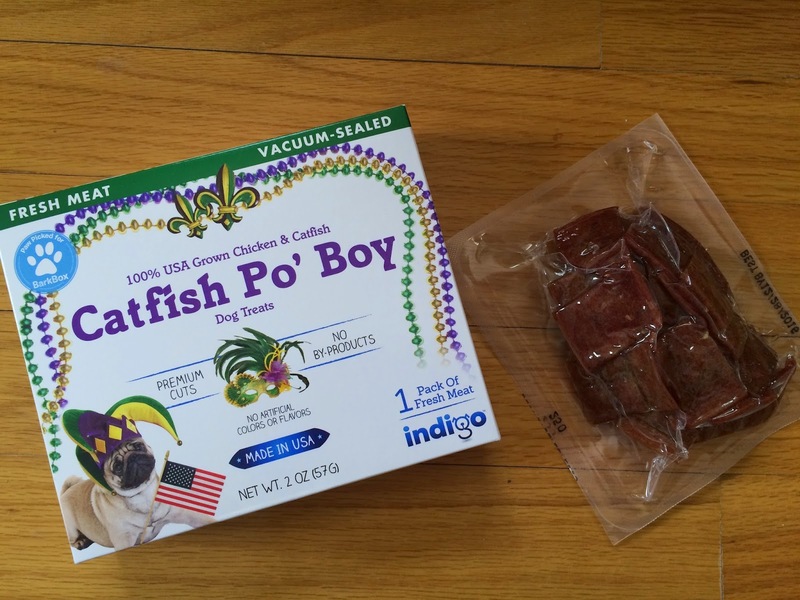 The final item included was PetSafe Catfish Po'Boy with Chicken. These arrived in an air tight bag and say to refrigerate them after opening, and consume within 3 days. 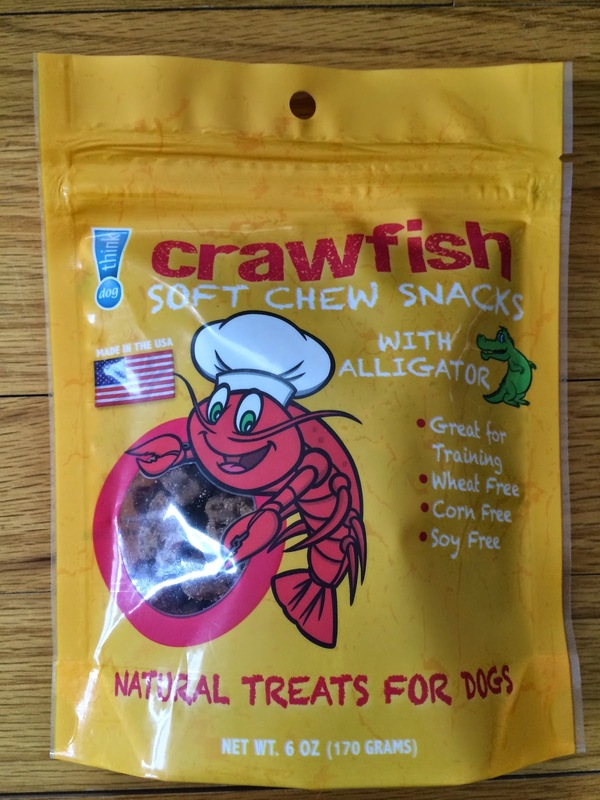 My puppy hasn't tried these yet, so I'm not sure what he'll think of them. It does say even the pickiest pooches will love these treats, so we'll see. I love all the items we receive from BarkBox and my puppy has liked most of them. He loves all the toys for sure, but a few of the treats we've had to pass on to other less picky pups, which is fine, because we get a lot of treats in these boxes. 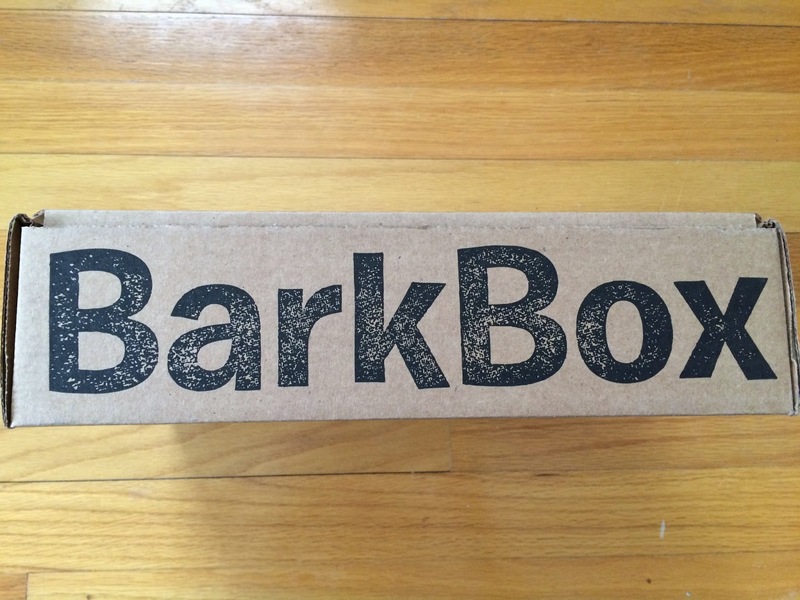 I think March will be our final BarkBox. We'll be taking a break for a while, because we have an abundance of treats and toys right now. But I still can't wait to see what we get in March!